The fastest mobile LTE hotspot in Europe has long been the Netgear AC810, now Huawei has taken the lead with the new pocket WiFi E5788. The Huawei E5788 offers LTE Category 16, so speeds up to 1 gigabit per second download and up to 100 Mbps upload. In addition, the mobile Wi-Fi hotspot offers a touch screen and up to 10 hours of operation via the integrated battery. The Huawei E5788 has an integrated LTE Advanced Pro Cat16 modem. To achieve speeds of up to 1 Gbit/s, the hotspot supports 4 × 4 MIMO antenna technology, 256QAM modulation and 3CC CA (triple channel bundling). The maximum possible speed depends not only on the E5788, but also on the mobile network. If the network is not equipped accordingly, the Huawei Hotspot offers lower LTE speeds. Of course, the E5788 Gigabit Hotspot is also backwards compatible with 3G/UMTS (up to 42.2 Mbps in the downlink) and GSM/2G can do the modem as well. The Internet connection is transmitted either over WLAN 802.11b/g/n/ac or over USB type C to connected terminals. Over WLAN, up to 32 devices can be supplied at the same time, the Huawei E5788 spits on 2.4 GHz and optionally also on 5 GHz. An RJ45 Ethernet LAN port, as offered by the sister model Huawei E5885, is not available on the Huawei E5788. If required, the Internet access can be made via an existing wireless network instead of the integrated mobile modem. 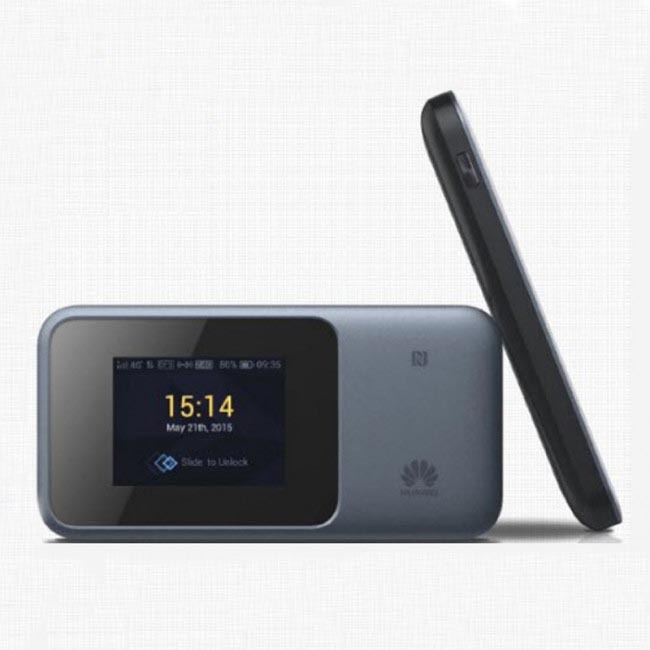 The feature called “WiFi Extender” is now standard on mobile Huawei LTE hotspots, including the E5788. In addition to the USB Type C port, which can be used to charge the battery and to connect to a computer, the Huawei E5788 also offers two TS-9 ports for an external LTE antenna. The connections are hidden on the side under a cover, which should protect against contamination. The Huawei E5788 has a small touch screen on the front, which makes it easy to adjust. The display shows important information about the Internet connection such as data consumption, online time and reception in the standard screen. In the first test, the touchscreen responded quickly and the operation was self-explanatory thanks to large icons. Further settings are possible via the browser web interface or the Huawei HiLink app. The battery of the Huawei E5788 is 3,000 mAh strong and unfortunately firmly integrated in the device, so not changeable by the user. The operating time is up to 10 hours, the standby time is up to 500 hours. The Huawei E5788 is currently not available everywhere, but can be found via Google some online retailers, which have listed the suitable for European networks version Huawei E5788u-96a. Whether and when Huawei plans an official market launch in Europe is currently unknown. Should something new arise, this article will of course be updated. 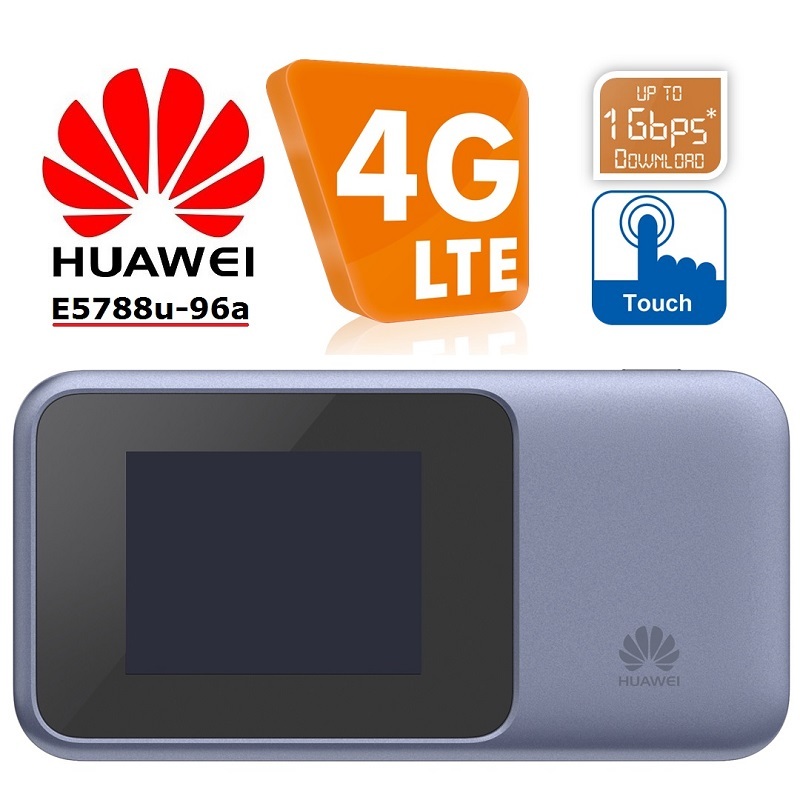 As alternatives, for example, the Huawei E5787 (with touch screen) and the Huawei E5885 (with LAN connection) are available; however, both devices reach a maximum of 300 MBit/s with the integrated LTE Cat6 modem. 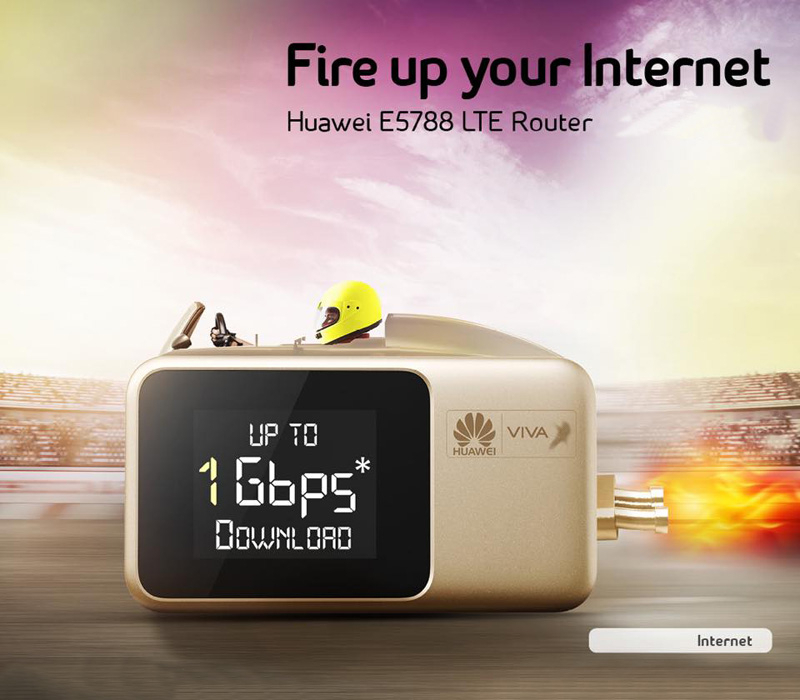 If you want Gigabit LTE mobile hotspot, you have to wait for the Huawei E5788.